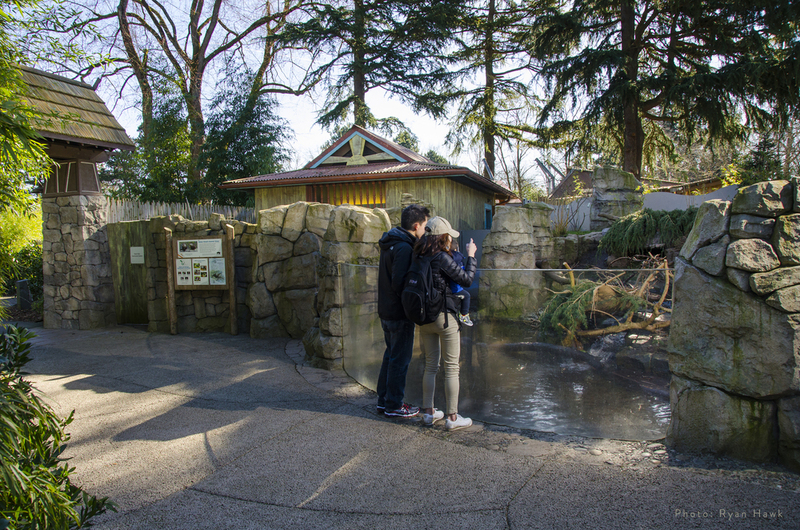 Banyan Wilds creates a tropical expanse at the heart of the Woodland Park Zoo campus. The area is set as a “nature reserve”, where local rangers and scientists welcome visitors to see and understand their work studying how people and wildlife can share the forests of northern India, Malaysia and around the world. The “reserve” features stunning Malayan tigers, endearing sloth bears, impressive great argus pheasants and lively Asian small-clawed otters. The project began with the goals of breathing new life into existing tiger and bear grottoes and facilities from the 1950's, and creating a clear crossover path at the midpoint of the Zoo’s Main Loop, the primary circulation route visitors use to navigate around the 92-acre campus. The project team carefully planned the site and designed details that facilitate optimal animal welfare and an excellent guest experience within an immersive series of exhibits, while also providing for a safe, enjoyable stroll along the Zoo’s new east-west central axis. 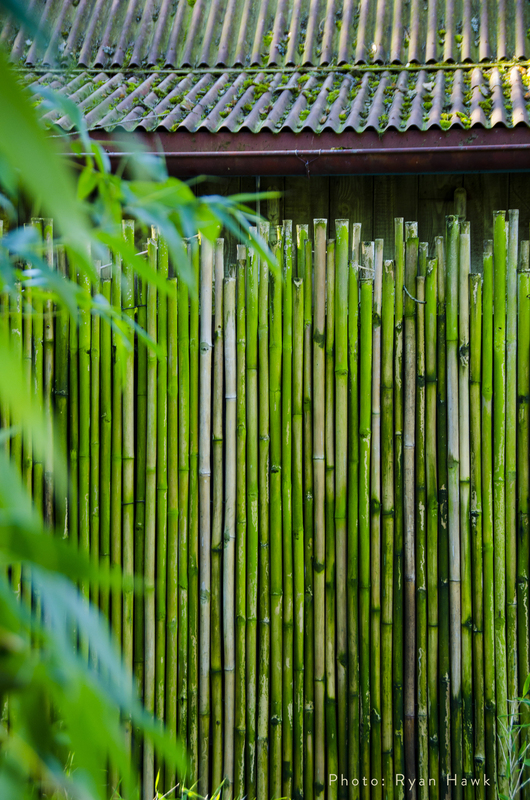 A decorative, acoustically engineered bamboo fence placed within lush living bamboo separates the interior and exterior of the “reserve”, and provides a sound buffer between the crossover path and noise-sensitive animals within the “reserve”. An entry Gateway announces arrival at Banyan Wilds, flanked on one side by a children’s play area, and on the other by a donor path. 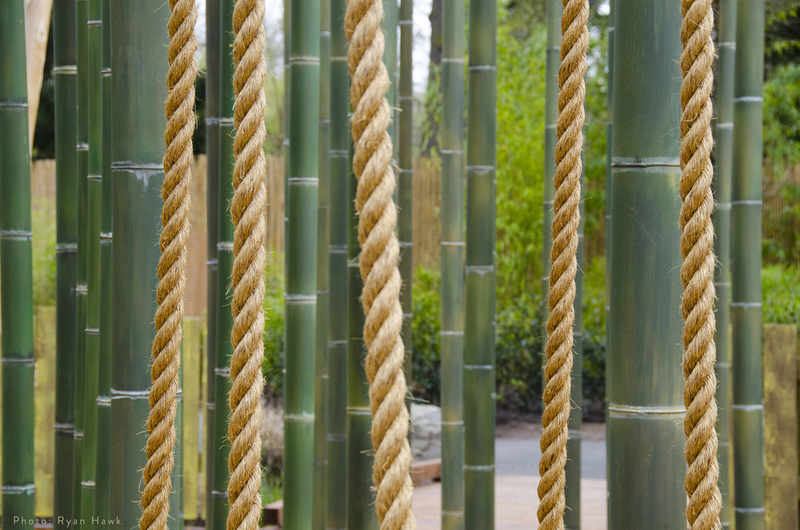 The donor pathway winds through the bamboo landscape and features interlaced, hand-crafted donor tiles created by local artist Mette Hanson. 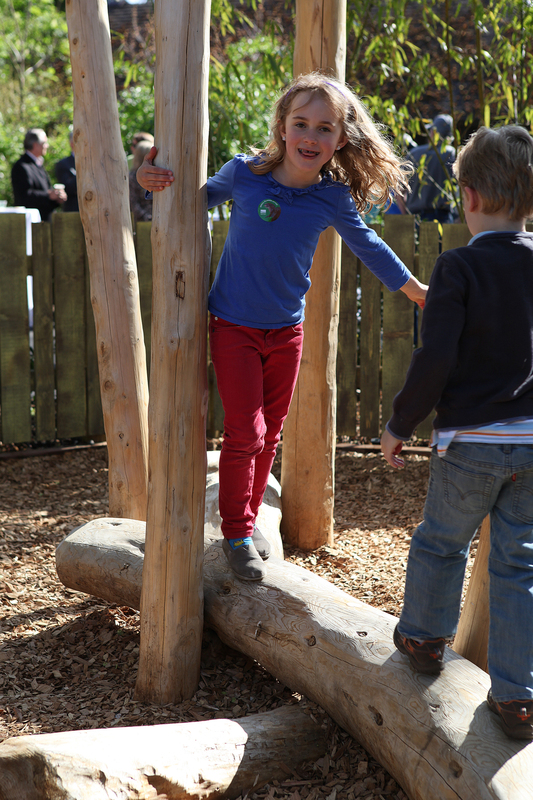 The Bamboo Play children’s area features a series of bridges, planks, and stumps, and even a zip line for children to play on and amongst. Once inside the “reserve”, as visitors pass the Ranger Station, they are greeted by the vocalizations and antics of the Asian small-clawed otters. The great argus, with its long, beautifully patterned plumage, can be seen in the Aviary adjacent to the Ranger Station. A collection of carnivorous plants add their color along the pathway and add an interesting interpretive note to the concept of 'learning to live with carnivores'. Once at the completely renovated sloth bear grottoes, visitors can enjoy the bears foraging for enrichment treats carefully placed by Keepers within distribution feeders themed as tangled roots and boulder crevices. The treats are readily ‘vacuumed’ by the sloths bears, using their uniquely adapted mouths. Educational programs highlight this sloth bear behavior in programs that utilize a tube designed to extend from the viewing area to sloth bears just on the other side of the viewing glass. Keepers supply grubs and other treats that the bears eagerly ‘vacuum’ through the tubes as visitors watch the treats zip through the clear tube. All of the sloth bears’ sounds can be heard by visitors as the viewing glass, activated by transducers in such a way that it acts like a large speaker, transmits the sounds from the exhibit to the viewing area. After leaving the Sloth Bear Exhibit, visitors come upon a plantation Caretaker’s Cottage and a conservation Field House at the Crossroads, where conservation and daily life interact to work in unison. Education programs take place at several of the locations within this setting, showcasing actual conservation field work and explaining how visitors can become involved in conservation at home and across the globe. Interactive interpretive elements within the Field House engage visitors in the stories and challenges that are part of survival for highlighted species, allowing visitors to learn while also getting an incredible view of the Malayan tigers from a large viewing window into the exhibit. 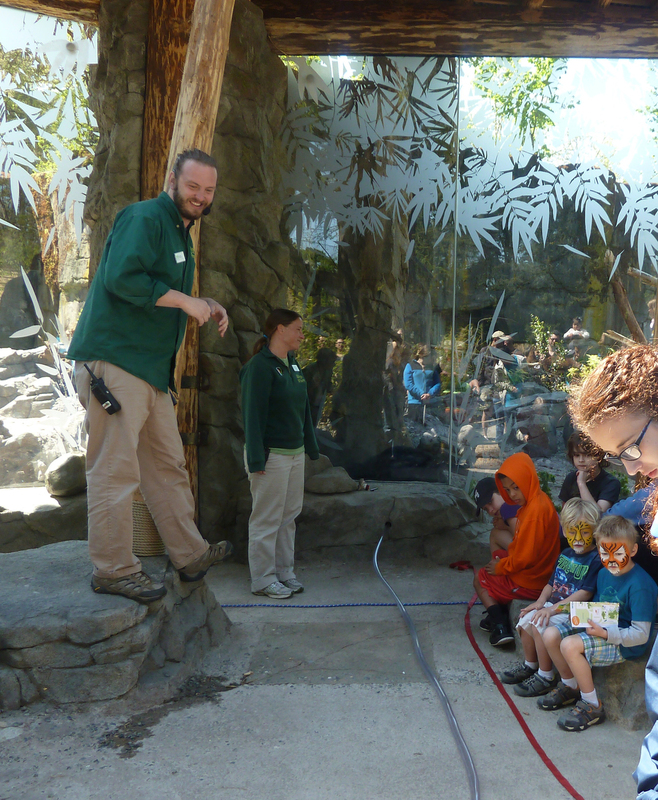 The Crossroads area features a Tiger Training Wall where Keepers engage with the tigers, teaching visitors about the many ways in which they endeavor to provide exceptional care for the tigers, and all animals at the Zoo. From the Crossroads, visitors walk along the plantation and Tiger Exhibit, with its stream, pool, heated rocks and intricately entwined Banyan tree at the main tiger viewing area. A jostle tree provides a high hiding space for Keepers to place enrichment treats that tigers can “jostle” loose to their reward. In the event that cubs become part of future plans, a Baby Tiger area provides an outdoor maternity enclosure with eventual controlled viewing for visitors, once cubs are old enough to be on view. Today's zoos are faced with the very real dilemma of deciding what facilities to save and renovate, and what needs to be rebuilt from scratch as we continue to build a better understanding of animal welfare requirements and visitor learning modalities. 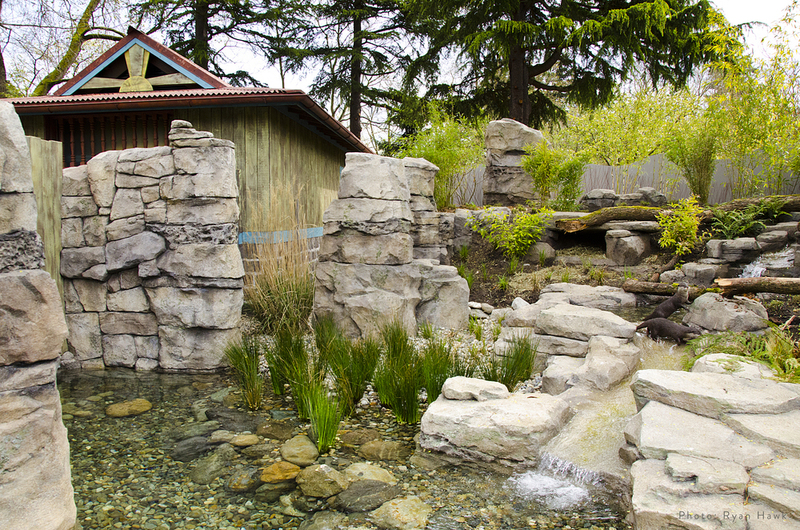 Woodland Park Zoo and the design team addressed this scenario in Banyan Wilds, with the final result seamlessly combining the renovated back-of-house spaces of the pre-existing grottoes with expansive new landscapes for tigers and bears. These landscapes are experientially linked together in ways that provide repectful up-close encounters with the animals, and enable the Zoo to tell compelling stories that can be easily updated as new conservation information comes in from the field.